For everybody who (like us) simply loves a good, big slice of pizza, we have good news! We've created a pizza recipe that is not only delicious, but also nourishing, protein-packed and vegan and gluten-free, for those with special dietary needs. 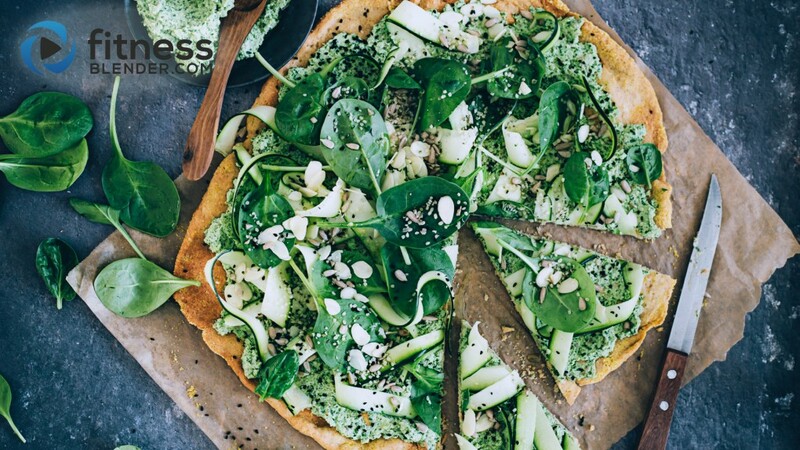 The crust is a flatbread made of chickpea flour, while the toppings are everything your body needs for staying in shape – fresh greens, tofu for an extra protein kick and seeds for their healthy fats that help regulate hormone production and may help contribute to keeping you in a great mood. This really is a green power recipe – no special cooking skills required! Chickpea flour is a lovely alternative to any baking flour because it has a nutty flavor and keeps your savory baked goods together without the digestive system burden that plain flour may cause some people. The humble chickpeas are loaded with exceptional nutrients - fiber (about fifty percent of the daily recommended ratio, per only one cup), protein (one of the richest source within the legumes), minerals (especially manganese, copper and zinc, involved in the natural detoxification processes and energy production within your body cells), and also high concentrations of antioxidants (especially flavonoids and phenolic acids) to help you fight against free radicals damage and early aging. Using chickpea flour for pizza results in a very light, protein and fiber-packed crust, with a very nice flavor. The chickpea flour crust keeps perfectly in the freezer, so you can cook in batches and throw a piece in the oven every time you want to indulge with a delicious slice of healthy pizza. The toppings are always a matter of choice, but if you want to have a slice of pizza, stay in shape and nourish your body, green toppings are a great option. Here we've included spinach, parsley, mint and zucchini ribbons on top of a tofu, seeds and greens base – they are all bursting with nutrients and refreshing flavor. Tofu is a good vegan alternative for meat, because it contains protein, essential mineral combination (calcium and magnesium) and other mineral concentrations (selenium and zinc). Always use organic and non-GMO tofu. You can also add your favorite toppings – for this one in particular, we really wanted to keep this pizza simple and light. Preheat the oven to 175°C/347°F and line a baking sheet with parchment paper. In a medium bowl mix the crust ingredients to obtain a batter. Transfer the batter onto the baking sheet and spread it with a spatula in a very thin layer. Bake for 10 minutes, then flip over and bake for 10 more minutes. Remove from the oven and set aside to cool for a few minutes. 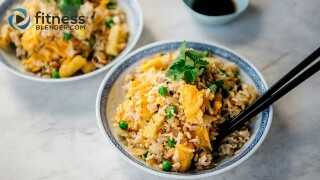 Add the tofu base ingredients into a food processor and mix to obtain a creamy mixture. Spread it over the chickpea crust, then top it with the rest of the ingredients, season with freshly ground black pepper and add a drizzle olive oil. You can bake it for 10 minutes or serve it as it is.